Gin’s ever-growing popularity almost strangled the life out of its forefather, Genever. But this juniper-flavoured drink from the Low Countries is now poised for a comeback, with bartenders and mixologists all over the world showing a renewed appreciation. Genever is often referred to as a certain kind of gin made in the Low Countries. However, the truth is very different. While both are juniper-flavoured spirits, Genever was around long before gin, and could be considered its father. Furthermore, it was a Dutch king, sitting on the English throne, who was responsible for getting the British hooked on Genever. It is fair to say that without Genever, it’s unlikely gin would even exist today. Traditionally, Genever is made from a malt wine, which is triple distilled in a pot still and sits at 45 to 50% ABV. Grains like barley and rye are part of the mash bill, making Genever almost as closely related to whisky as it is to gin. Juniper berries and other botanicals are distilled with the malt wine, to give the final product its distinctive flavour. However, nowadays Genever is almost never purely made from malt wine. Even though famous spirits educator Philip Duff recently released his 100 per cent malt wine, Old Duff Genever, his is the exception to the rule. Most Genever contains a (large) portion of neutral spirit. This might be grain spirit, but can also be a sugar-based spirit. It was the invention of the continuous still in the 1800s that steered Genever away from malt wine, and towards a cheaper and more neutral base alcohol, often distilled to 90% ABV. This eventually also led to different styles of Genever. Jonge Genever is mostly a bulk product, containing a maximum of 15 per cent malt wine, although the actual number is often much lower. Technically, it doesn’t even need to contain malt wine. Oude Genever contains anywhere from 15 up to 50 per cent malt wine. Jonge (young) refers not to the age, but to a new style recipe, while Oude (old) refers to the older way of doing things. Then there’s also Korenwijn, a malt wine, heavy type of Genever, containing at least 51 per cent of the triple distilled grain spirit. 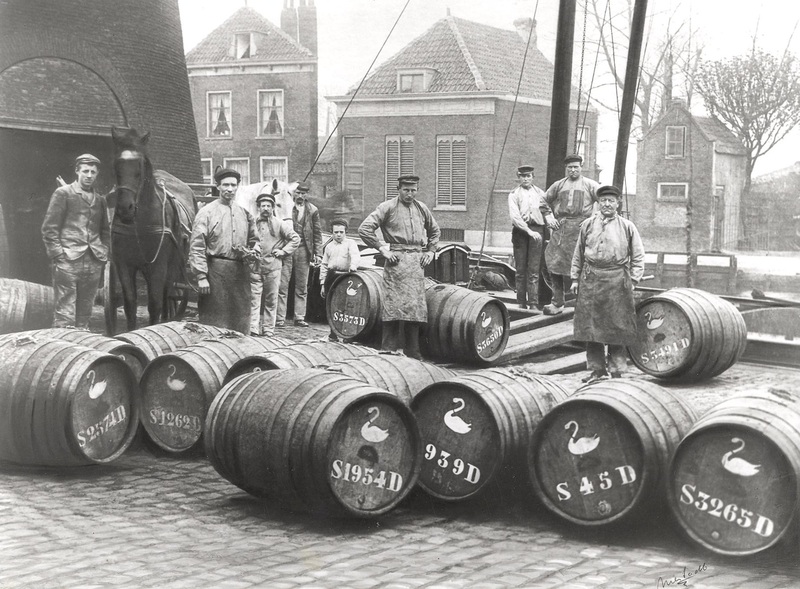 While Genever was most likely invented in Belgium, the Dutch were the ones to introduce it to the rest of the world. Distilleries in the Netherlands flourished in the early 17th century, especially after the government forbade distilling of grain, fruits and vegetables in Flanders, fearing a food shortage. The Dutch East India Company (the VOC) served as an indispensible client and catalyst. Sailors were entitled to a daily allowance of Genever, and the juniper spirit was also traded for water and food during the long journeys to Asia. The ships brought back a plethora of spices, of which the distillers were thankful recipients. Over the decades, Genever grew from a fairly one-dimensional tincture to a rich spirit drink, benefiting from a complex recipe of spices. From the 1570s and onwards, England became an important export market for Genever. During the Thirty Years War, British soldiers joined Dutch troops in their fight against the Spanish. The Dutch would sip from small bottles to help manage their fear. The British would soon join this practice, better known as ‘Dutch Courage’. Genever slowly penetrated the British market. That is, until the Dutch King William of Orange took his place on the British throne in 1689. He boycotted the imports of brandy from France, catapulting Genever’s popularity. In 1792, roughly 4 million litres left Dutch harbours, en route to its neighbours across the narrow North Sea. Over time, British distillers created their own style of Genever, resulting in the birth of gin. Two World Wars, the temperance movement (particularly in Belgium) and the unwillingness of the Dutch to adopt new technology like the continuous still, brought the glory years of Genever to a sudden end. Genever went out of fashion everywhere, not in the least among the population of its two most important producers. It was bestowed a similar fate as sherry in Britain, and was looked at as a drink fit for your granddaddy. So how does something like Jonge Genever differ from gin, you might ask? In some cases, it might not be different at all. Yes, the botanicals will probably not be the same, but you can produce gin in the exact same way you produce Jonge Genever. The big difference right now? If it’s not made in Belgium, the Netherlands or a few very specific regions of France or Germany, you’re not allowed to call it Genever. few months ago with some minor improvements. If all goes well, it should finally be published next year. It will make sure that all Jonge Genever contains at least 1.5 per cent malt wine, thus finally clearly separating it from gin. In recent years, Genever is mounting a comeback. Centuries ago it was Genever from which the gin-craze sprouted, now it is gin driving up an interest in Genever. Many bartenders and mixologist, as well as gin enthusiasts, want to learn more about gin’s elder cousin. It is a result of a trend, a movement of people that want to know everything about what they consume. The industry has also taken notice. At the Bar Convent Berlin in October 2017, producers worked together and created a Genever Square, putting a big spotlight on Genever. Just months before, the winning cocktail at Tales of the Cocktail in New Orleans turned out to be a Genever-based concoction by Zachary Faden. Genever is an all-round drink that can be a prime base spirit upon which to build cocktails. It’s sweet, malty and the botanicals are nuanced, not in-your-face. Genever is an old drink, with a history that goes back to the Middle Ages, but it’s also new and exciting at the same time. It is ready to once again claim a place as one of the premium spirits on Earth.